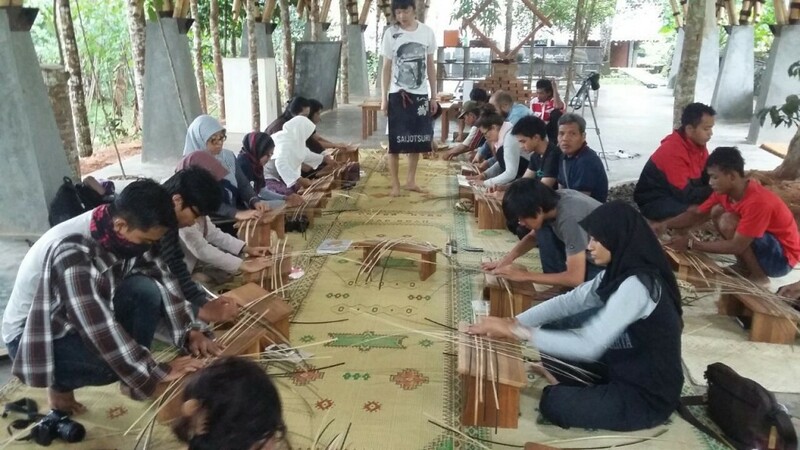 Bumi Pemuda Rahayu aims to support a vision of ecological sustainability through works with communities and arts on practical and theoretical levels. Architecturally the site itself is built on a model of self-sustainability, using various methods to approach minimum carbon footprint. All the materials used have been chosen for its lowest impact on energy, using recycled materials with the main building itself made from bamboo. All its waste will be recycled or composted, with specially designed human waste recycling plant to generate electrical power. The garden has been planned to be completely edible. Aside from its architectural and environmental focus the other important aim is to support the local community. People from the local area were invited to be an integral part of this new centre and have already been employed to help build the centre, including the main bamboo multipurpose hall. They have been given training in new skills from master bamboo builders and expert architects and landscape designers. The centre’s arts programs aims at process and forms that are innovative and creative for the local area within an international context. The activities that have been run in the past include science workshops for children, bamboo making workshops, artist residencies, puppet making with the local children and video making classes with women from Munthuk. Developing and supporting ideas for ecological sustainability through works with communities and arts on practical and theoretical levels. Employment of the villagers of Muntuk; Knowledge exchange between villagers, architects, artists and others; Seeding of new longer term projects investigating ecological sustainability. Marco Kusumawijaya and other co-workers from Rujak Centre for Urban Studies, Arsitek Komunitas (ARKOM) Yogyakarta, Antariksa of Kunci Cultural Studies Centre. Villagers of Muntuk, visiting artists, ecologists and NGO workers.